How fair is fair trade? In a state where economic and environmental ethics inform a deep-rooted "craft food" culture, it's sensible that consumers might wonder how much of their $20 spent on a pound of fair-trade coffee actually benefits the people who grew it. Tracing exactly where those fair-trade dollars go can be difficult. The brand is governed by many different organizations that charge for, and control, certification. The middlemen — buyers and sellers — also take a cut. And, in the coffee industry, the cost of marketing the fair-trade brand is often passed to coffee roasters. 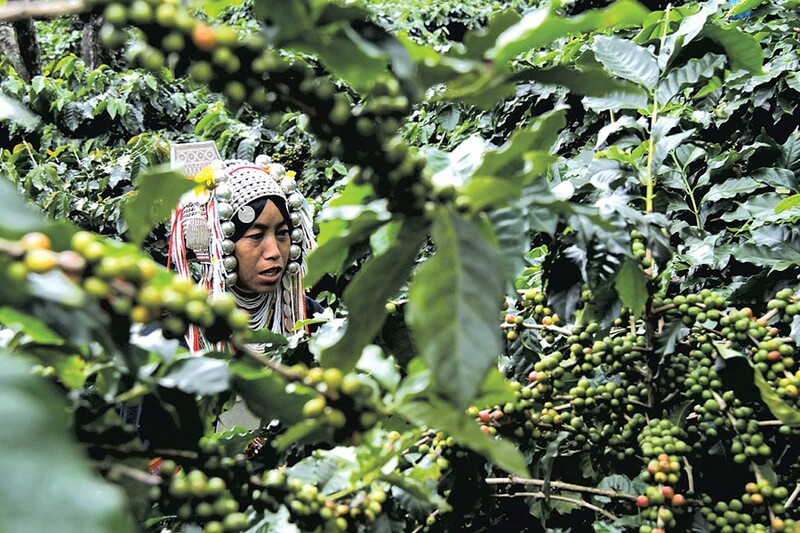 In his new book, Beyond Fair Trade: How One Small Coffee Company Helped Transform a Hillside Village in Thailand, Mark Pendergrast tackles the fair-trade topic by focusing on the newer "direct trade" model — an unofficial classification that takes the precepts of fair trade one step further. Direct trade isn't governed by any international organization; the grassroots movement addresses perceived deficiencies of fair trade by cutting out the middlemen and the requirement to belong to a collective. With direct trade, roasters buy from growers, and profits go directly to farmers. Pendergrast is familiar with the world of caffeinated drinks. His 2010 book Uncommon Grounds: The History of Coffee and How It Transformed Our World is now in its second edition. And his comprehensive For God, Country and Coca-Cola: The Definitive History of the Great American Soft Drink and the Company That Makes It, now in its third edition, remains the authoritative book on the most American of all beverages. His new book has a smaller scope than those two volumes. Rather than promising a comprehensive analysis or exposé of fair trade, it approaches the issue through a single case study. While the company of the title, Doi Chaang Coffee, has no Vermont connection (the beans aren't even available locally), the book may find a receptive audience in the state where Pendergrast has lived for more than 40 years. Beyond Fair Trade is both a profile of an unusual business and a work of cultural anthropology. Doi Chaang (the name means "Elephant Mountain") was founded and is partly owned by people of the Akha hill tribe, an ethnic minority with a long history of marginalization. As detailed in Beyond Fair Trade, every pound of beans that Doi Chaang sells represents another step toward economic self-sufficiency for the Akha people. Pendergrast's book does not argue that the fair-trade model of equal exchange is corrupt or wrongheaded, only that it can be improved, and that Doi Chaang offers a model for that improvement. "I think fair trade has been and continues to be very important, and I'm not trying to denigrate it," he said. "However, it really sets a minimum wage, and ... you have to jump through a lot of hoops and pay a fair amount to get certified." 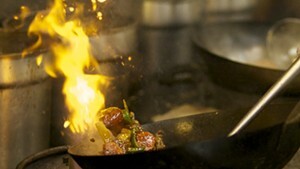 Pendergrast noted that Doi Chaang not only owns its own coffeehouses but roasts its own beans — "something that is quite unusual 'at origin,'" he said. "I'd like that to be a model that more people are doing." The author linked this "single-origin" coffee to the notion of terroir that has become central to eat-local movements. Pendergrast's meeting with Seven Days on a chilly December afternoon could not have been more thematically appropriate to his book. The conversation began at Winooski's Tiny Thai Restaurant and continued up the block at Scout & Co. café — where, ironically, the drink of choice was hot black tea. Pendergrast joked that his next book would be about tea to complete the caffeine trifecta; actually, it's about the racial and cultural politics of his hometown, Atlanta, and he hopes to complete it by summer. Despite his choice of beverage, the author emphasized that Doi Chaang's beans make for a terrific cup of coffee. He called it "balanced ... with a nice acidity, but not too high, so you feel a little snap in your mouth. It's got a little taste of chocolate ... and a little citrusy taste to it. It's very similar in some ways to [Hawaii's] Kona coffee: There's nothing that really stands out, except that it's a really well-balanced cup." Beyond Fair Trade started life as one of the many articles on coffee that Pendergrast has written for Wine Spectator since 2006. (Oenophiles are predisposed to tannic flavors, so a coffee column in a wine magazine isn't as out of place as it may seem.) Before writing that article in 2012, Pendergrast had never heard of Doi Chaang Coffee, but cursory research suggested it might make for a good story. "I was just fascinated with the Akha, who don't have any written language and who have a very rich culture and tradition," said Pendergrast. "That's what really attracted me to this, in addition to the coffee angle." Over more than two years of research and three trips to Thailand, the story only became more complex and compelling. Two protagonists emerge from the book's narrative. One is John Darch, a Canadian investor with business interests in Thailand. The other, the late Akha entrepreneur Wicha Promyong, was the driving force behind the establishment of Doi Chaang and the man who realized that planting coffee could pave the way toward independence for his people. Coffee was, if nothing else, a safer and more profitable crop than the opium poppies that once grew on Akha land. Not only did drug kingpins sop up most of the profits from that problematic plant, but the Akha sometimes paid for their crop with their lives. Pendergrast depicts Wicha (as he was known) as a garrulous and colorful character who labored indefatigably to bring a profitable plantation to a remote area of a country not typically associated with coffee production. Doi Chaang grows its coffee plants using traditional methods, under shade trees, a practice that goes well beyond environmental friendliness. "They have reforested the entire mountainside, and biodiversity has returned," said Pendergrast. "Wicha used to live in a little grass hut, until the pythons returned — in his bed!" After investing in Doi Chaang, Darch gave half of the company to the Akha, whose directors have continued to steer it toward and beyond national success. More than 300 Doi Chaang coffeehouses have sprung up in Southeast Asia; Pendergrast called the company "the Starbucks of Thailand." Doi Chaang coffee has begun to make inroads in Western nations, too: One can buy it in Canadian cafés and order it online in the U.S.
Pendergrast and the directors of Doi Chaang Coffee aren't the only ones who believe that the fair-trade model could use adjustment to yield even more benefits to small farming operations in impoverished countries. The co-owner of the café where Pendergrast met with Seven Days expressed the same opinion. The coffees that Tom Green and his Scout & Co. colleagues sell at their three (soon to be four) Burlington-area shops are labeled direct trade. Green called fair trade "a step in the right direction, but I think it falls short of where it needs to be." 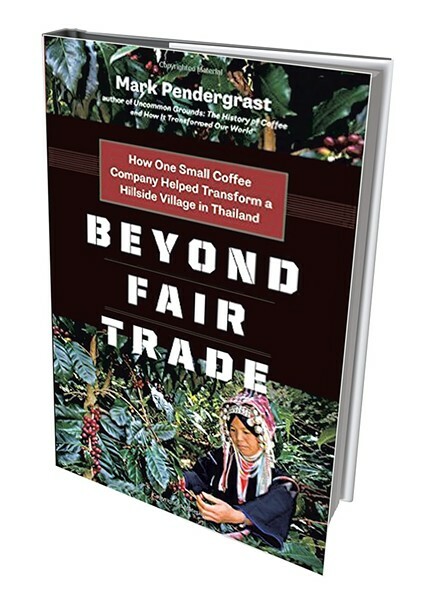 Beyond Fair Trade: How One Small Coffee Company Helped Transform a Hillside Village in Thailand by Mark Pendergrast, Greystone Books, 270 pages. $18.95. Green's chief issue with the fair-trade system is that its guarantees are not sufficiently specific or traceable. "We don't know how much of [the money we pay for coffee] is making it back to the families, how much of it is going back to the co-ops, what the co-ops are doing with that money," he said. "What we're trying to do is trade directly with small farmers so we know where the money is going, exactly. We're not just giving them money ... like a charity case. We're actually involved in the process of what's going on in their farms, and in their lives, as well." 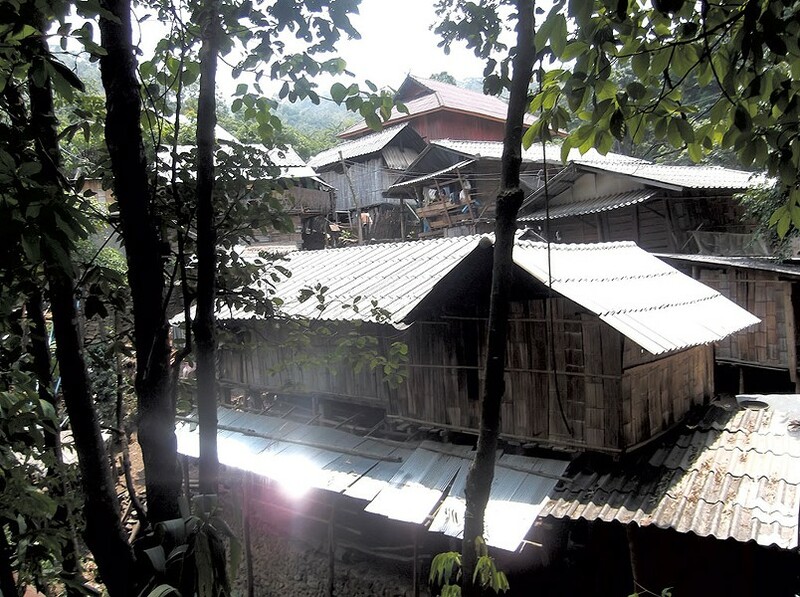 In Beyond Fair Trade, Pendergrast details how the success of Doi Chaang has redounded to the Akha people in the form of infrastructural investments: new roads, schools, water filtration plants. Exactly the kind of quality-of-life improvements to which Green referred. Just before Pendergrast left the café, he and Green spoke about how they might collaborate to put Doi Chaang coffee into the hands of Scout & Co.'s coffee pros. With any luck, Vermonters will have the opportunity to taste the next wave of ethically sourced coffee. Wicha's vision continued to grow. Not only would the Akha grow superior coffee, eventually, the beans would become as well known and sought after worldwide as Hawaiian Kona and Jamaican Blue Mountain beans. The Akha would not be subservient peons working for others. They would not be like the coffee slaves of the past. They would take charge of their own coffee, their own destiny. Wicha hated the chemical pesticides and fertilizers that the Akha had been sold to grow vegetables, because such products put them into an endless cycle of debt and harmed their health and the environment. The chemicals also flowed in water down the mountain and affected other villages. He wanted the Akha to grow organic coffee. Patchanee taught them to plant taller shade trees among the coffee plants not only to provide the shade required to allow the beans to develop properly, but also to "fix" nitrogen by taking it from the air and converting it to ammonium to enrich the soil. The falling leaves from the trees would provide humus, and many of them, such as macadamia or banana trees, were themselves cash crops. The original print version of this article was headlined "Fairest of Them All"